Witches, Winkie Soldiers and Winged Monkeys, Oh My! 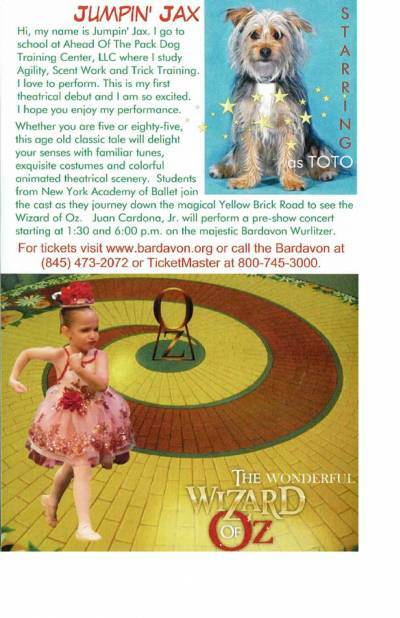 Follow the Yellow Brick Road to the Bardavon Opera House on Saturday, June 8, 2019 for Poughkeepsie City Ballet’s production of The Wonderful Wizard of Oz based on the book by Frank Baum with shows at 2:00 and 6:30 p.m. 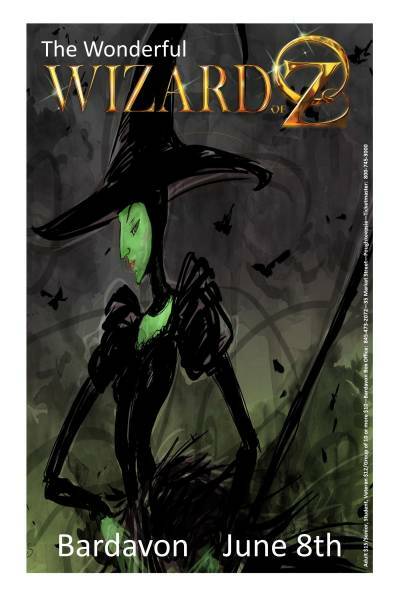 The excitement begins when a cyclone carries Dorothy off to the magical world of OZ where she meets Munchkins, a Scarecrow, a Tinman and a Cowardly Lion and makes her journey through the forest to seek out the Wizard of OZ. Whether you are five or eighty-five, this age old classic tale will delight your senses with familiar tunes, exquisite costumes and colorful animated theatrical scenery. Special guest artist, Jumpin’ Jax, stars in this production as Toto. He is a student at Ahead of the Pack Dog Training Center, LLC where he studies Agility, Scent Work and Trick Training. This performance will be his theatrical debut. Students from New York Academy of Ballet join the cast as they journey down the magical Yellow Brick Road to see the Wizard of Oz. Juan Cardona, Jr. will perform a pre-show concert starting at 1:30 and 6:00 p.m. on the majestic Bardavon Wurlitzer. If you are a fan of the Bardavon Wurlitzer and Mr. Cardona, mark your calendar now for Saturday, June 8th.